Chelsea are in the Europa League this season having failed to beat Liverpool to the final Champions League’s qualifying spot last season. The Blues finished fifth behind their Merseyside rivals last season and they had to settle for a place in this season’s Europa League competition. Just like the Blues, Arsenal had a season to forget throughout last term. 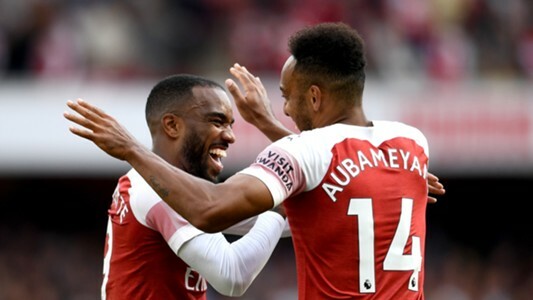 The Gunners were defensively poor, their attack were far from impressive from the start of last season to the closing stages until they bought Pierre-Emerick Aubameyang from Borussia Dortmund, who brought a spark to the attacking line. Luckily, the Gabonese scored some important goals that helped the club get the final Europa League’s qualifying spot as they finished last season on the sixth position. With the two Premier League clubs taking part in the Europa League this season, bookmakers are tipping the Blues to win the trophy ahead of the North London club. According to FiveThirtyEight, Chelsea have 96% probability of qualifying out of group stage compared to the Gunners whom they gave 90%. The Bookmaker also tipped the Blues to qualify for the round of 16 by giving them 71% probability. Sarri’s men were also tipped to qualify to the quarterfinal round of the tournament as the bookmaker gave them a 49% chance. According to FiveThirtyEight, The Blues have 32% probability of progressing to the semi-final while they have 20% chances of lifting the trophy for the first time since 2012-13 season. However, Unai Emery’s men were tipped to ‘luckily’ win the Europa League trophy by FiveThirtyEight, who gave the team just 5% chances of lifting the trophy.